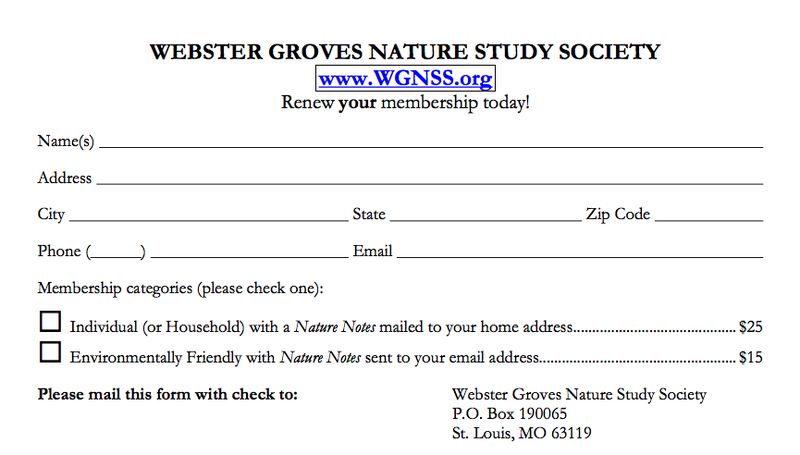 The Webster Groves Nature Study Society Botany Group schedules a botany field trip each Monday. Contact Wayne Clark to be added to the Monday Botany Walk distribution list, and receive email notifications no later than Sunday before each Monday Botany Walk. Monday Botany Walks are Lead by Fr. James Sullivan — now in his 49th year! Botany walks usually last about three hours, sometimes with lunch following at a local restaurant. The WGNSS Botany Group visits many of the same locations as the Bird group. All events are free & open to the public unless noted. WGNSS event notices are posted on the WGNSS Facebook page. Click here for complete WGNSS calendar. ​Thanks to Casey Galvin for his photos of Allium canadense var. avendulare (Meadow Garlic), Echinacea simulate (Pale Purple Coneflower), and Delphinium exultatum (Tall Larkspur), to Anne McCormack for her photo of Castilleja coccinea (Indian Paintbrush), and to George Van Brunt for his photo of Nemastylis geminiflora (Prairie Celestial flower) - winner 3rd place Botany category in 2013 WGNSS Photo Contest.